Taxi Rental Services in Barsey / Varsey at cheap and best price. Barsey or Varsey is a small town in the north-eastern state of Sikkim in India. Located at an altitude of 10,000ft, Barsey is renowned for its Rhododendron Sanctuary. For the lovers of varied flora, a visit to Barsey Rhododendron Sanctuary would actually be a delightful experience. The sanctuary falls in the West Sikkim district and can be accessible by road via Hilley. The trek from Hilley to Varsey is about 4 km and the path bridled with vegetation takes about 1 ½ hours. As you walk along the Singalila, you will be greeted with glorious views of Kanchenjunga Range. Stay at Varsey overnight to enjoy the rhododendron forests and sweeping view of the mountains. 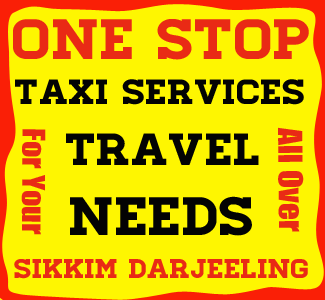 We are proven to be the best taxi service provide in Barsey / Varsey west Sikkim. We provide - NJP to Barsey / Varsey Sikkim Taxi Services, Bagdogra to Barsey / Varsey taxi Services, Gangtok to Barsey / Varsey Ttaxi services, Siliguri to Barsey / Varsey taxi services, Kalimpong to Barsey / Varsey taxi services, Pelling to Barsey / Varsey taxi services, Darjeeling to Barsey / Varsey taxi services, Barsey / Varsey to Gangtok cab rental, Barsey / Varsey to Zuluk cab rental, Barsey / Varsey to Darjeeling cab rental, Barsey / Varsey to Kalimpong cab rental, Barsey / Varsey to Pelling cab rental, Barsey / Varsey to Siliguri cab rental, Barsey / Varsey to NJP cab rental. We also provide packege tour over Barsey / Varsey. Tourists can reach Barsey easily from NJP Rail Station or Bagdogra Airport or Siliguri Town or Darjeeling or Gangtok. Tourist Visiting Barsey are suggested to stay for minimum 2 nights. First day - tourist can reach Barsey from any source. Second day - full day sightseeing of Barsey. Third day - Back to their next destination. NJP to Barsey : 120 kms. Bagdogra to Barsey : 123 kms. Darjeeling to Barsey : 54 kms. Due to its advantageous location, many hotels and lodges have come up in and around Barsey catering to varied tastes and budgets. Indian : Indian tourists visiting Barsey do not require permit to visit. Best time to visit Barsey is during all months in the year. Sometimes roads may get closed during the month of July, August due to heavy rainfall and landslides.